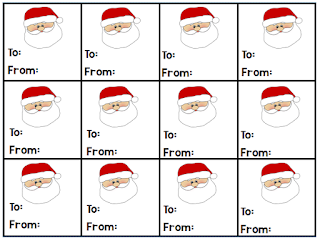 I needed some Christmas gift tags for my students to put on their parent gifts and thought I would share. 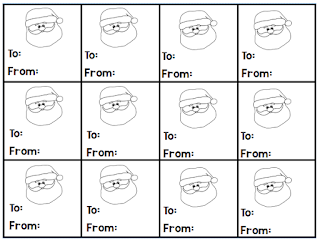 The cute Santa is from My Cute Graphics. There is a color copy and a black and white copy. Click on the pictures above to snag yourself a copy. Merry Christmas!